What if you could ditch the fear and self-doubt and finally find your path to health? Imagine making peace with your autoimmune diagnosis. Imagine cutting through all the contradictory information, fear-mongering, and confusion in the health community to know what works for you. You can feel in control of your life and health again. 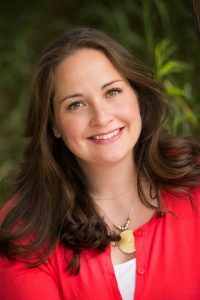 Many people with an autoimmune disorder feel confused about how to find their unique path to better health. I offer coaching programs to help you ditch the doubt and find the right answers for you so that you can get better health and feel like yourself again. 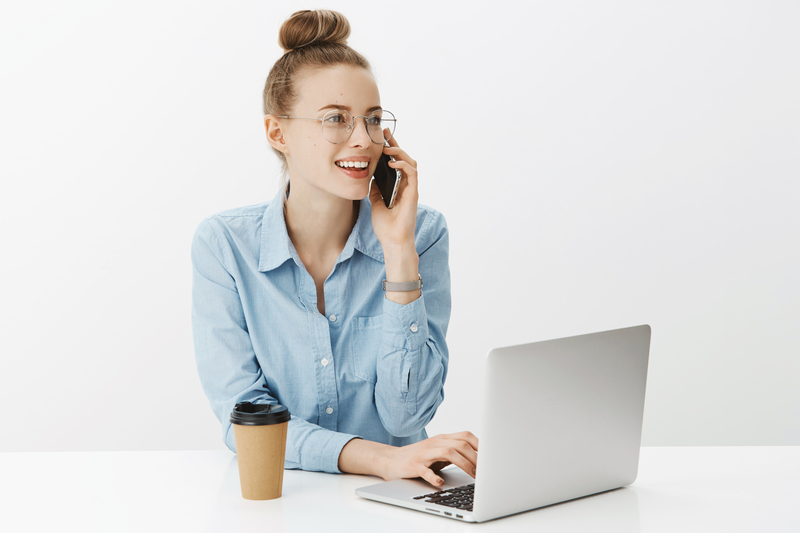 The first step is to schedule a free 15-minute chat to see if working together is a good fit. An Autoimmune Rebel believes that they shouldn’t have to feel confused, guilty, or out of control when it comes to their health. 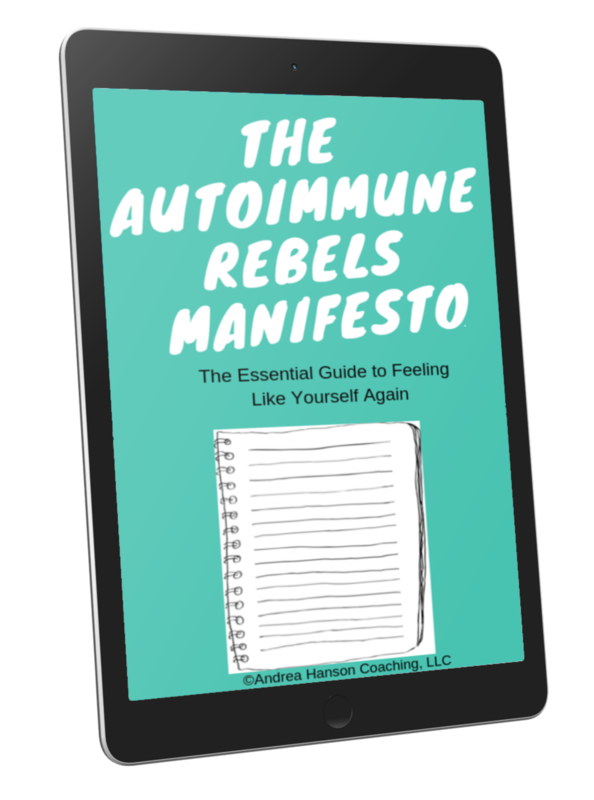 Check out the Autoimmune Rebels Manifesto: The Essential Guide to Feeling Like Yourself Again. 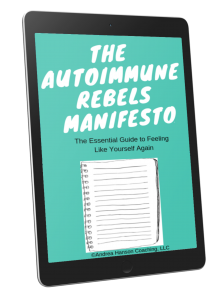 And join the free Autoimmune Rebels Community to get access to me online, and non-judgemental, drama-free support from Rebels on a quest for health and peace of mind-just like you.